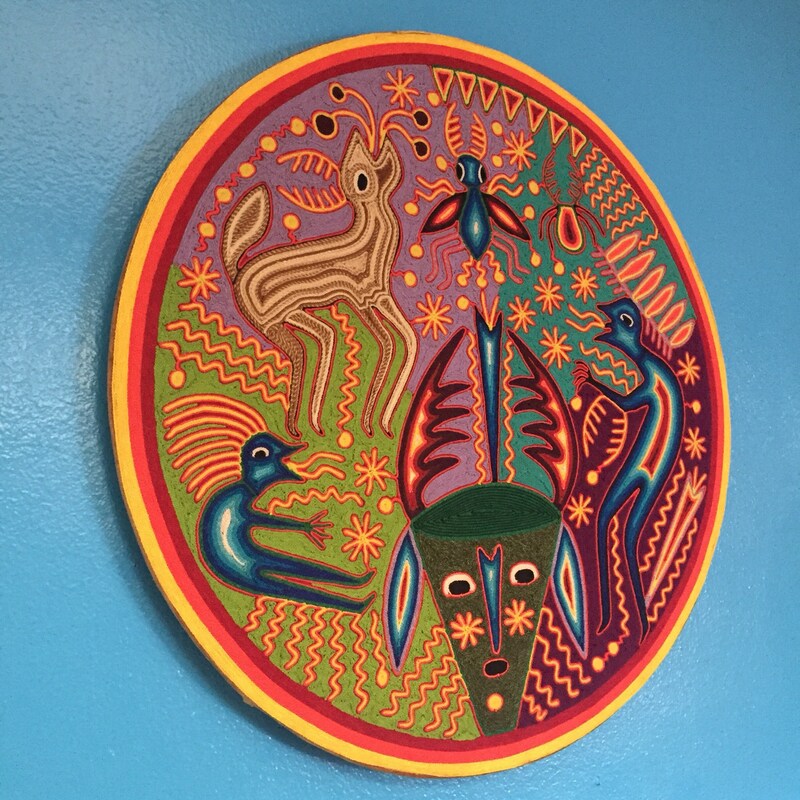 This handcrafted yarn tablet is by Fidencio Benitez Rivera. 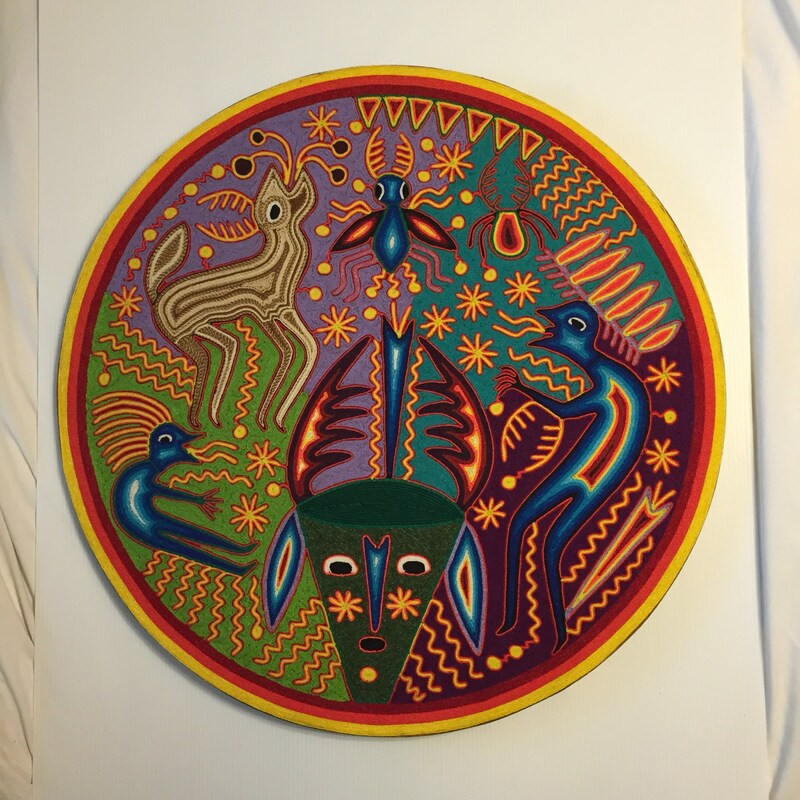 It depicts the sacred peyote plant as the center of creation. 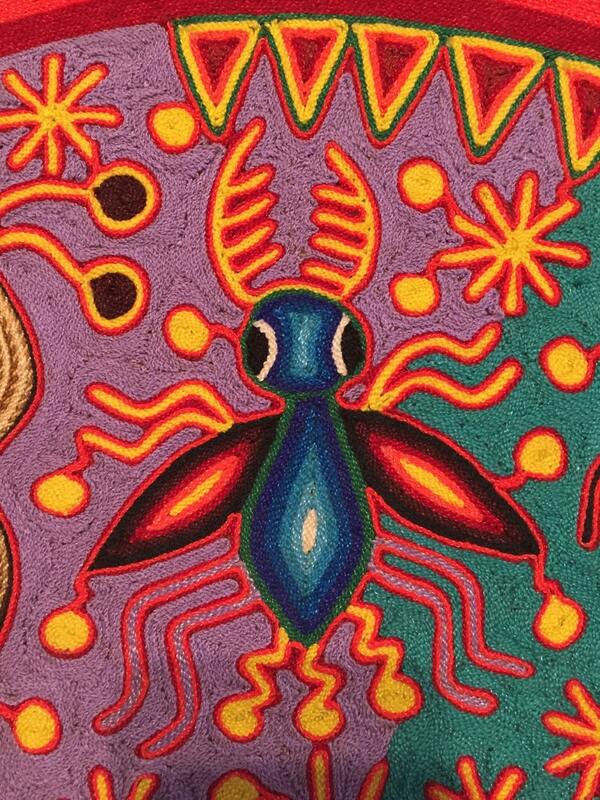 Many animals were sacred to the Huichol. Deer were considered to be spirit guides. 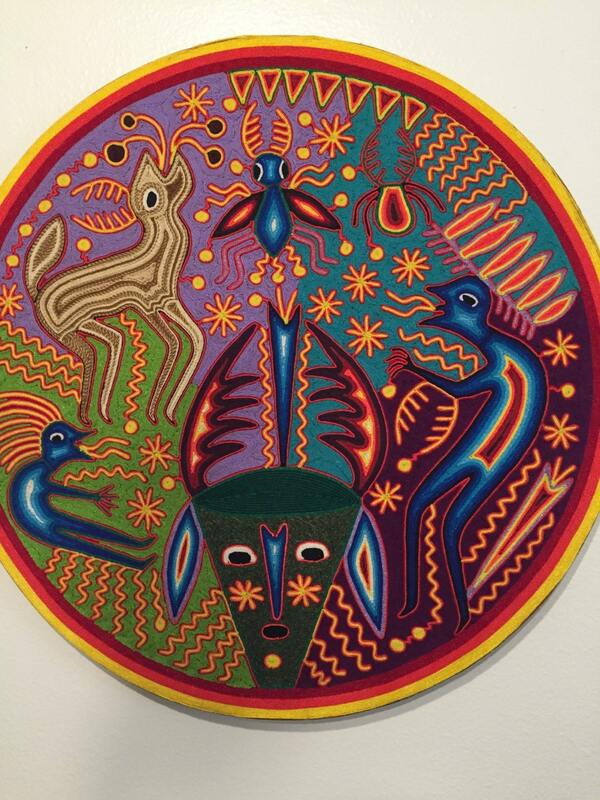 Drums and peyote were used to communicate with the gods. 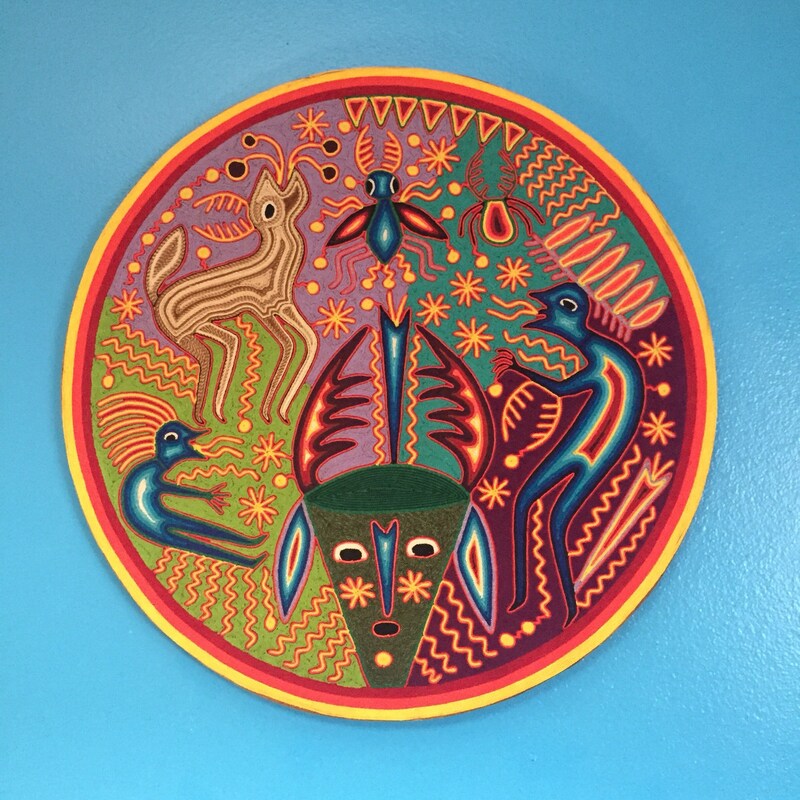 This yarn painting is known to the Huichols as a neirika; a portal between the physical and spiritual worlds. Yarn paintings consist of yarn pressed into wood boards coated with wax and resin and are derived from a ceremonial tablet called a neirika. 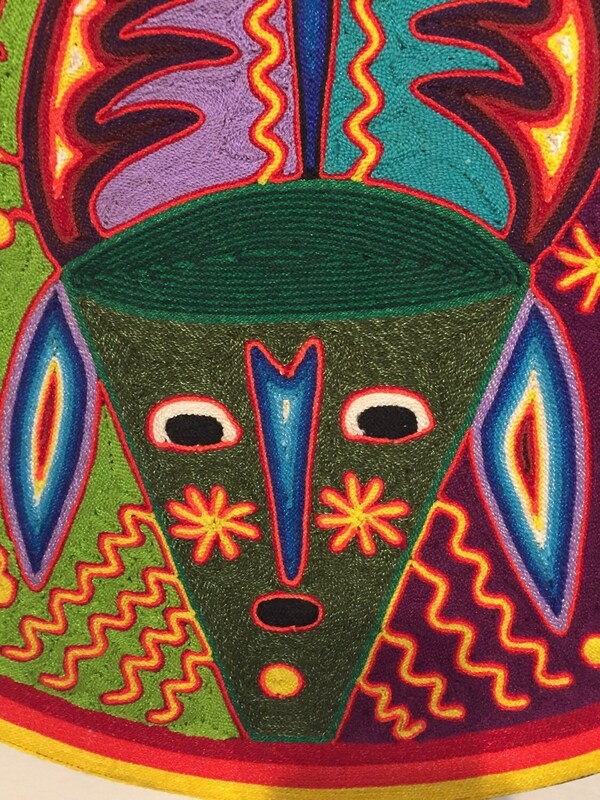 What mostly links the yarn paintings made today is the continuance of the traditional patterns used for centuries to represent and communicate with the gods. 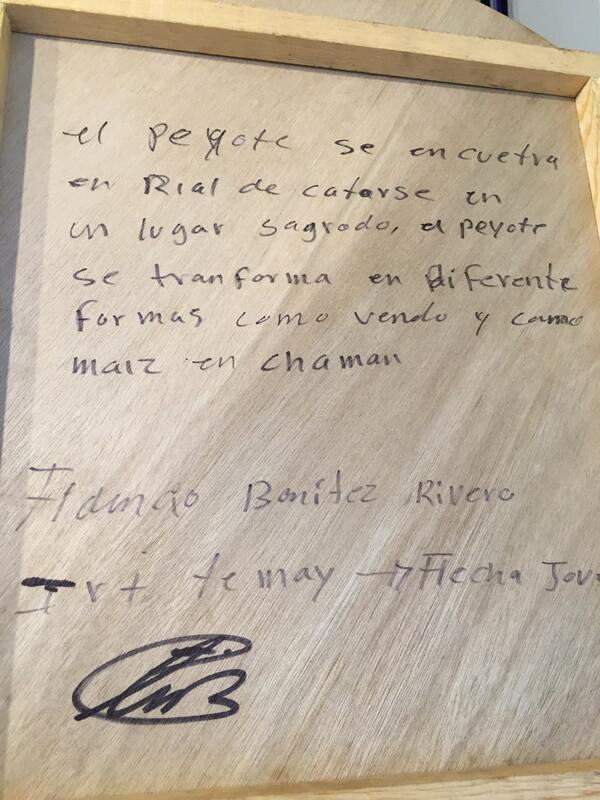 This one of a kind piece is signed by the artist and has the story about the painting on the back of this tablet (in spanish). The Huichols are an indigenous people who mostly live in the mountainous areas of northern Jalisco and parts of Nayarit in north central Mexico with the towns of San Andrés, Santa Catarina and San Sebastián as major cultural centers. 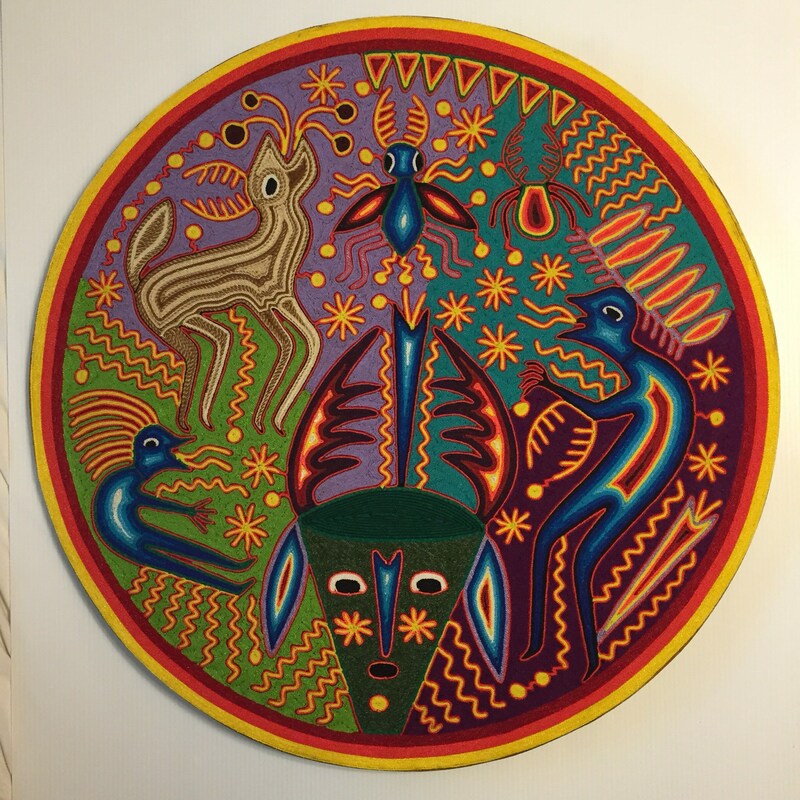 Their numbers are estimated at 50,000 and the name Huichol is derived from the word Wirriarika, which means soothsayer or medicine man. 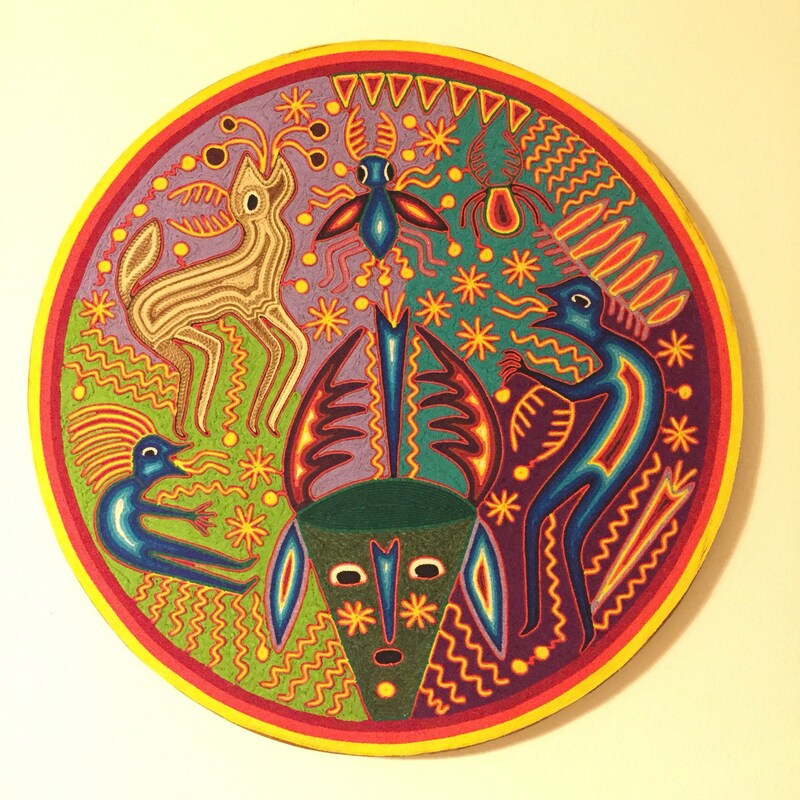 The religious faith of the Huichols is still based on a “trinity” of veneration of the deer, corn and peyote. 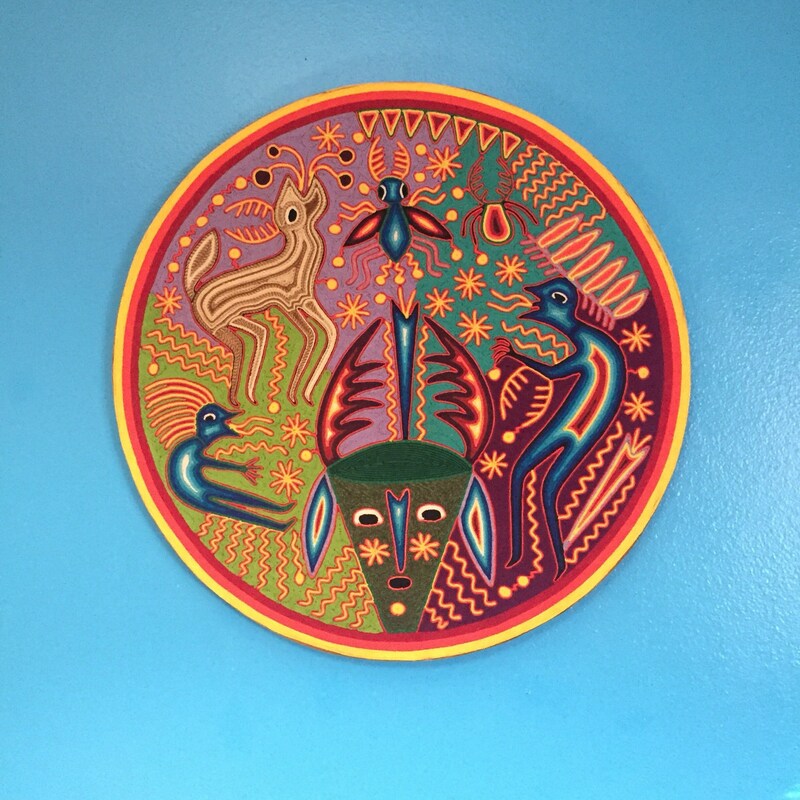 The last is ritually gathered each year on a long pilgrimage to the desert area of San Luis Potosí, where the Huichol people are said to have originated and still used by shamans today. Due to the size of this piece, please contact us for specific international shipping rates. We may be able to negotiate a better rate with Fedex.